California Reducing Adult Day Services; Homecare Can Help! On Monday, April 1st, the launch of California’s new, smaller adult day health care program was met with mixed emotions. Ambiguity regarding client eligibility has frustrated thousands of California residents over the past year. Although many clients have been approved for the new program, thousands have been declared ineligible. The Community-Based Adult Services (CBAS) program will provide health care and social services to older adults who wish to maintain their independence and avoid nursing homes. While many of the 268 centers that offer adult day services were relieved that their clients qualified for the program, not everyone has been as fortunate. The Department of Health Care Services reports that 7,800 of the 40,000 clients assessed for eligibility were denied for the CBAS program. Although many clients are appealing the decision, results may not be in until June. Where can California’s seniors turn for assistance in the meantime? Unlike adult day services, in-home caregivers have the advantage of ClearCare’s invaluable homecare system. Relying on a quality homecare system allows caregivers to keep important client information up-to-date and organized. Using ClearCare’s homecare software, caregivers can easily track their client’s food preferences, hobbies and interests, social engagements and more. Despite California’s efforts to find substitute care for those denied CBAS, many residents are unsatisfied with their “enhanced case management” plan. Center supervisors complain that replacement services often don’t exist, particularly for ethnic clients. Fortunately, homecare agencies have no such limitations. 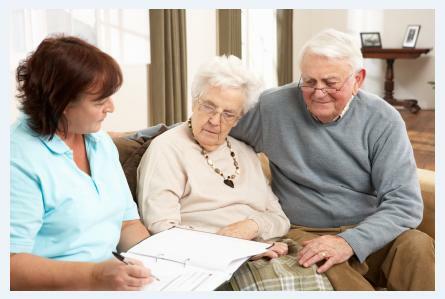 Families of seniors who may be afraid of using in-home care can rest assured their loved ones will be completely safe and well cared for thanks to the high level of supervision guaranteed by a homecare system like ClearCare. Caregivers will use their homecare software to keep families updated on the senior’s daily care and take note of any concerns that need to be addressed. While adult day service programs may be diminishing, the benefits of ClearCare’s homecare system continue to grow and improve.